The City Loop is just one of a few projects the ACT 2016-17 budget invested in. 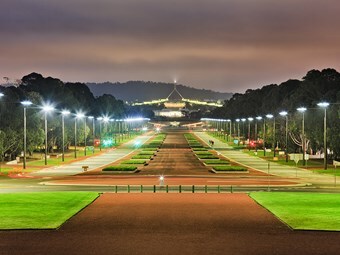 Australia’s capital became a more interconnected city for transport this week, with the commencement of a new transport and services authority, Transport Canberra and City Services (TCCS). Transport Canberra, the city’s new transport control agency, has been combined with various public services- such as roads, parks, and waste management- to become a one-stop shop for Canberra’s public necessities. As well as ACTION, Canberra’s primary bus operator, TCCS will also bring the Capital Metro Agency and Territory and Municipal Services together. In addition to the re-organisation of Canberra’s services, Transport Canberra announced a new bus service which will run a loop in the Canberra Central area. The free ‘101’ bus loop will service four stops on London Circuit as well as the Canberra Centre shopping precinct, Braddon North and Northbourne Avenue, ANU, and the NewActon precinct. Though it is a small loop, the service runs every 10 minutes from 7am to 7pm Monday to Friday. No ticket or pass will be required to ride the ‘101’. An electric bus trial, new bus services in Weston Creek and Molonglo, a new Park and Ride facility in Wanniassa, and improvements to the Woden bus interchange and a new bus depot in Woden have all been announced earlier this year. In February, ACT minister for transport and municipal services Meegan Fitzharris said the ACT government would take feedback from Canberra residents into account when designing the new Transport Canberra public transport network. Transport Canberra, as an individual agency, is still a new development, but the short period between its conception and its inclusion in TCCS indicates a shift towards more amalgamated transport bodies.